Swedish Meatballs and Classic Italian-style Meatballs go head to head. Are they really that different? Meatballs are one of the most versatile foods on the planet. Almost every culture on Earth has some form of meat shaped into a ball or patty in their culinary repertoire. Here in America, the two most popular variations of meatballs are “Italian” meatballs, aka Classic Italian-style Meatballs, and Swedish Meatballs. I put Italian in quotes because the meatballs we all know and love, slathered in marinara and served alongside pasta on Sunday nights, is actually an American creation. True Italian meatballs are known as polpettes and are quite different from their American cousins. (For more information on that, check out our earlier post on the history of meatballs). Swedish meatballs are swanky, small and flavorful. I’m not ashamed to admit I’ve gone to IKEA once or twice with no intention of buying furniture – I just went for the meatballs. I’m pretty excited that I can make those at home now that I have this recipe for Copycat Ikea Meatballs. But while these family favorites might look similar, they have a startling number of differences. I’ve outlined these variances below in what I call “The Four S’s of Meatballs”. In America, we have this mentality of “bigger is always better.” This rings true in our meatball preparation. Italian American meatballs tend to be far larger than their Swedish counterparts. I’ve seen them range in size from that of tennis balls to an adult human fist. On the other hand, Swedish meatballs are super small, which is what makes it so easy to eat 100 of them in one sitting. They’re typically no larger than golf balls, and can fit comfortably on a teaspoon. A huge part of a meatball’s taste comes from what you douse it in. Italian Americans turned to tomato-based sauces, typically chunky. Marinara sauce is a favorite for the Sunday dinner tables of Nonas all over the country while Swedish meatballs are cooked in a roux-based gravy that boasts a rich and savory taste. This slightly creamy brown sauce is typically prepared with beef or bone broth and sour cream or heavy cream. You can’t just roll meat into a ball and serve it up in sauce. You have to give it some love with seasoning and other ingredients meant to enhance the natural flavor of the meat. Both these dishes mix in onions or onion powder, but that is where the similarities end. Italian Americans like to infuse their meatballs with garlic and chopped parsley. Grated Parmesan cheese is also a regular addition to the mix. I personally use some ricotta cheese as well to give it a creamier taste. I used sun-dried tomatoes once, but that’s a story for another time. Swedish meatballs have a far more diverse family of spices working together within them. Some combination of allspice, nutmeg, ground ginger and white pepper are typically used in their creation. Perhaps the greatest difference between Italian American meatballs and Swedish meatballs is how they are served. Italian Americans serve up meatballs as part of a main course, typically served up with a side of pasta, and maybe another meat like a sweet sausage or neck bones. One of the most popular uses of meatballs (and my personal favorite) comes in the form of a meatball Parmesan sandwich. Swedish meatballs are the quintessential appetizer. When I arrive at a cocktail party and see trays of Swedish meatballs with little tooth picks in them, I know it’s going to be a good time. This serving style is due in part to their small size, which makes them a perfect light bite to enjoy over some drinks. That is not to say that Swedish meatballs don’t have a place on the dinner table. They can also be served over German-style egg noodles or potatoes for a truly awesome entrée experience. 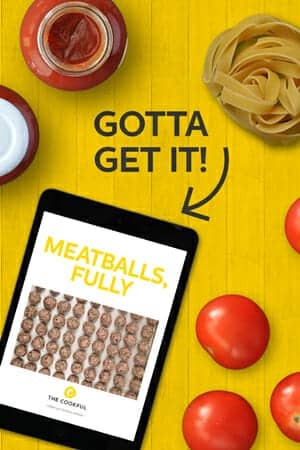 Where do your meatball allegiances lie? Are you a fan of Classic Italian-style Meatballs, or are Swedish Meatballs your thing? Personally, we say there’s room for both.